GASTRONOMY by Joy: Hola Tapas en Tapeo! Mid-afternoon food and wine sampling is not typically on my everyday list. But I decided to finally have a crack at this fairly new Tapas bar at The Fort. 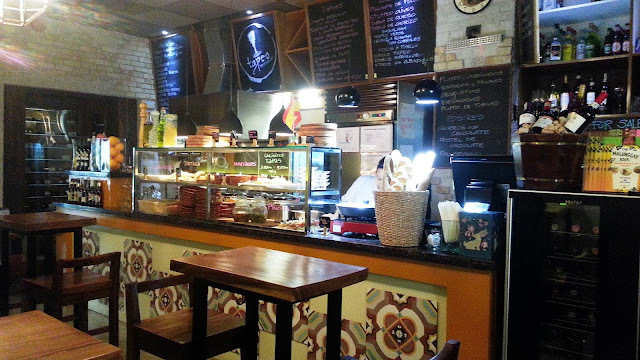 Having found out last March from a social media site that Chef Day Salonga, a fellow Kulinaryan, have opened a tapas bar with the MonDay Chefs, I told myself that I have to feature it here. Tapeo (Tapas, Wine and Deli) is now becoming a hip place for night outs. Since its opening, droves of urban professionals have come and go, delighting on a smorgasbord of tapas and wine. That afternoon proved to be one of the best snack I had in years. Not only did I drag some friends on this out-take, I learned few about wines and pairings as well. Do read on to know more why. Warning, this might see the end of the siesta! Tapas, much like siestas and flamenco-dancing is an archetypal Spanish tradition. As an added info, know that tapas is not a type of food, you know, the ones we would have with fried rice and topped with egg, as in Tap-Si-Log (TAPa, SInangag or fried rice, itLOG). It's more of the Spaniards eating habit. 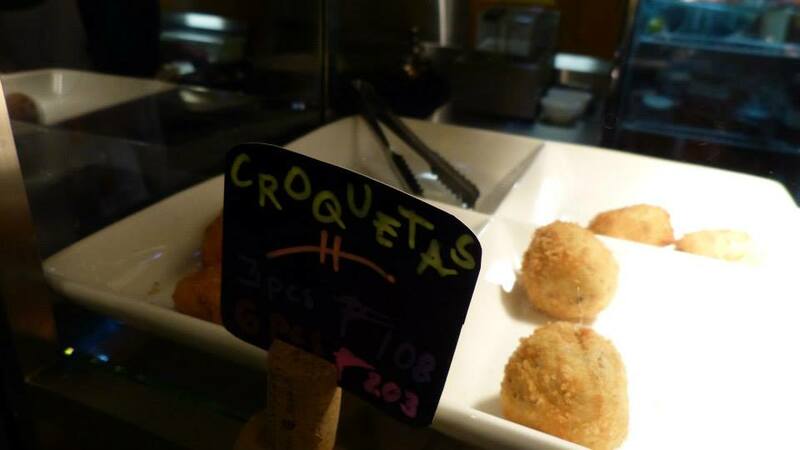 Tapas are snacks served in bite-sized portions like canapés or finger food that originated in Spain. 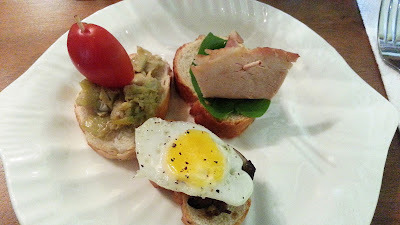 It can come in cold samplings like open-sandwiches or in hot meat or seafood in mini clay dish. In Tapeo, apart from the ala-carte menu with Raciones- their plated meals from a budget of P175 to P380, you can opt to have the Platos Combinados, which are a platter of sorts. 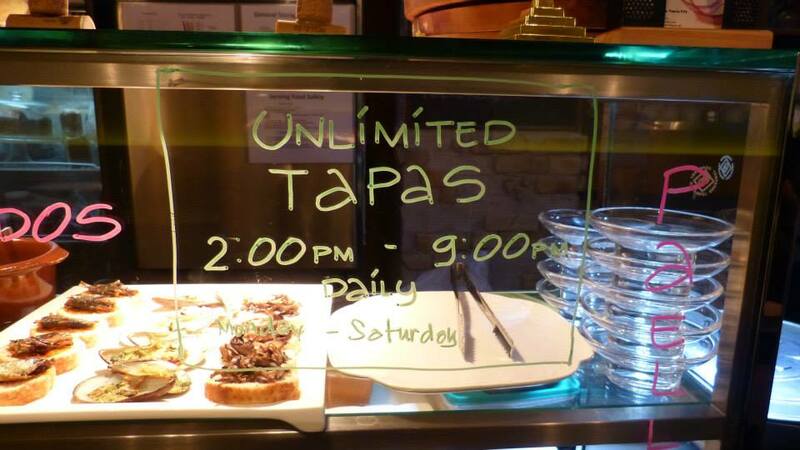 What even great deal is that they offer an open tapas bar, where in you can have different types of Tapas to your heart's content for a reasonable price tag of P400 for Monday, Tuesday and Thursday and P450 on Wednesday,Friday and Saturdays. Before I go expose my not so big appetite for that wonderful afternoon, let me give a few notes about how the place had taken a shine on me. Though the place was not that big, it exudes a cozy ambiance and encourages one to go around, mingle and go back and forth to the kitchen counter and plan out your next plate. The rustic, laid-back feel of the place gives out a hint that indeed the concept is innately Basque, yet with modern touch. I'm not so familiar with Spanish architecture or style, but judging by the Monday chef's taste and immersion to the culture, I say they did a great job, renovating what used to be a commercial bank. They didn't really put much work on furnishings like comfy chairs, but I guess that is the whole idea. You are supposed to be there to enjoy a well-spent time gorging with tapas and Spanish dishes while drowning your thirst with one of the town's best Sangria with your friends. 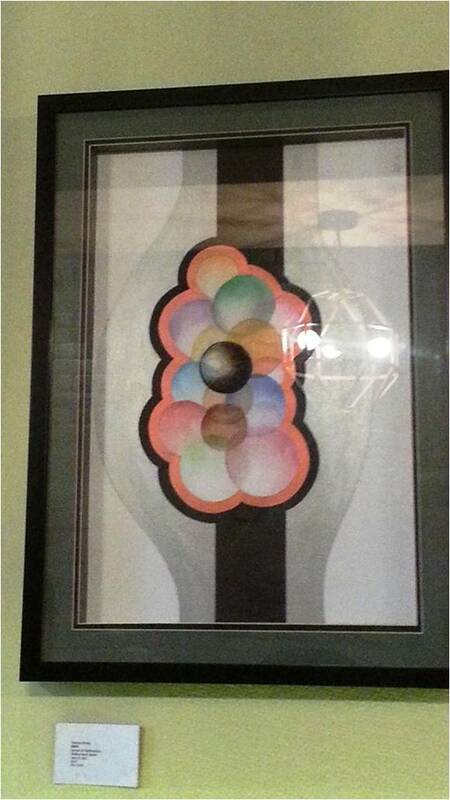 Surprisingly, I just found out that the father of my niece and nephew's artworks are showcased here. 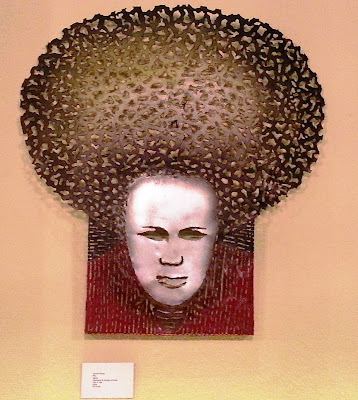 The paintings does not actually blend in with the theme of the bar, but his metal works however adorned the walls majestically. These are for sale, btw. The venue actually is like an alley, two doors to each end so you can either access through the street fronting The Fort Tent or through the Fort Strip. It can only accommodate up to 50 guests at a time, unless if you are willing to stay at the wine cellar. Imagine, a small-scaled place has a cellar indoor...How cool is that? The cellar used to be a vault. The owners were at a situation of not being able to tear it down due to the cost it will amount them to do so. What was a big and costly problem was a sweet solution after all. It then became a storage for all their wine collection. I wouldn't mind at all being cramped up here, who knows, there still might be some leftover cash stashed somewhere. 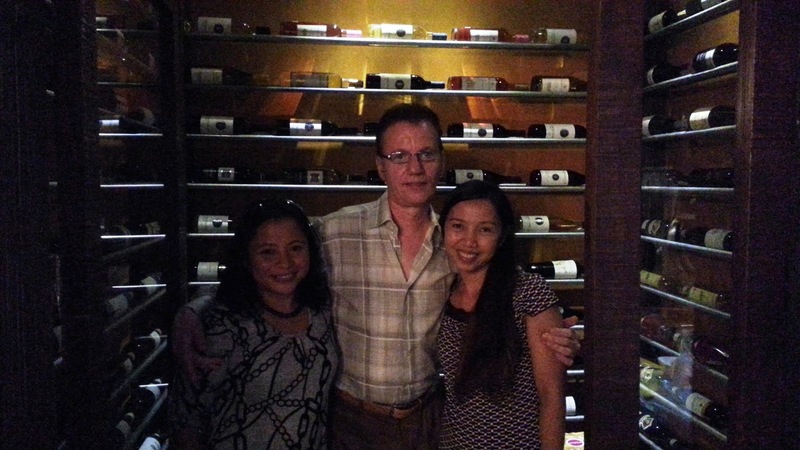 Together with my couple friends, Merna and Chef Didier (the Exec. 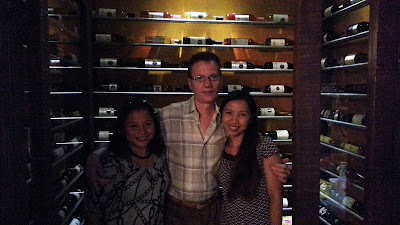 Pastry Chef of Raffles and Fairmonts Makati), we just had to take our photos at this partly intriguing corner of the bar. 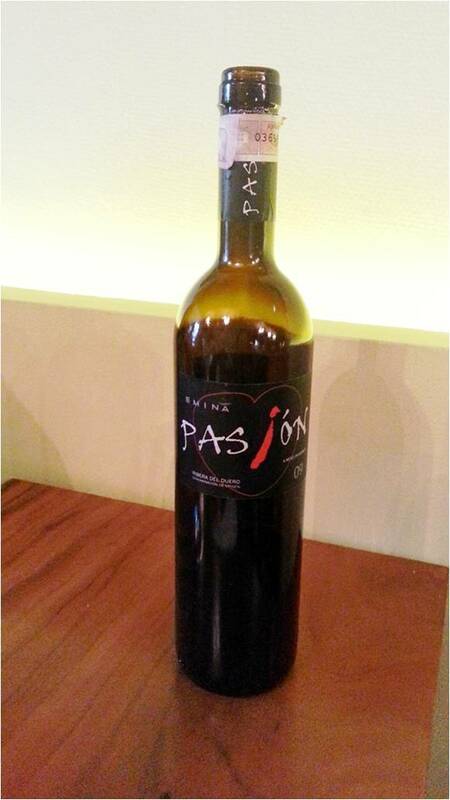 Speaking of wines, Tapeo carries quite an amazing collection of Old World wines, including the one we got, the Emina Passion 2009 which is from Spain. Wines being categorized under old world or new world basically infers to the origin of the wine, the "terroir" or the type of soil used to plant the fruits pressed for the selected wine. According to wine connoisseurs or "someliers," there is a difference in the aroma and taste of the old world and the new world wines. Chef Day reiterated that wines coming from France, Italy and Spain are Old World wines. Honestly, wine sampling had never been this serious, well I'm only used to drinking Sparkling white wines only and cheapo red wines from Italy so I still could not appreciate the art of wine-drinking. That is also one reason why I had to bring my French friend and his wife here so I can get a few points from them. So this is the bottle they chose for us to partake. 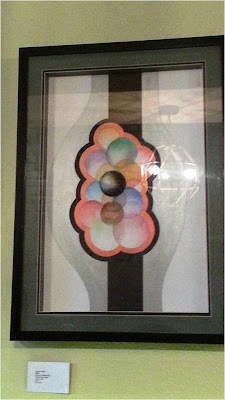 Another point was also given to how remarkable the wine menu was thought of. Chef Didier even commended them for how it was arrayed. 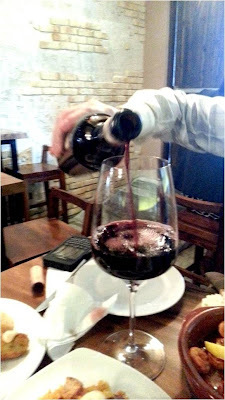 The wines are classified according to their taste genre, sweetness, boldness, white," "red," or "rosé" and lightness. In this way, the diners are oriented right away what every wines are, so they have a simple knowledge of which wine would tickle their fancy. 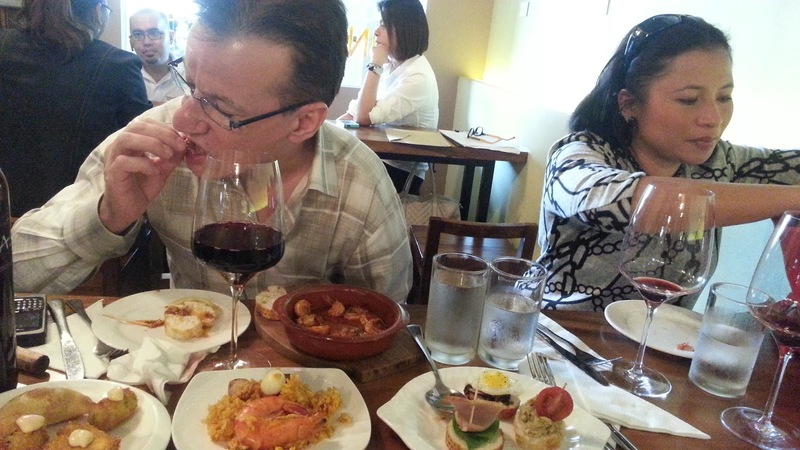 Customary to Spain, Tapas are eaten with wine which are usually had in between lunch and dinner, and late at night. The whole idea the Tapeo people want to bring across the foodie scene is that the Filipino's inkling for "turo-turo" (point-point) is embraced here. 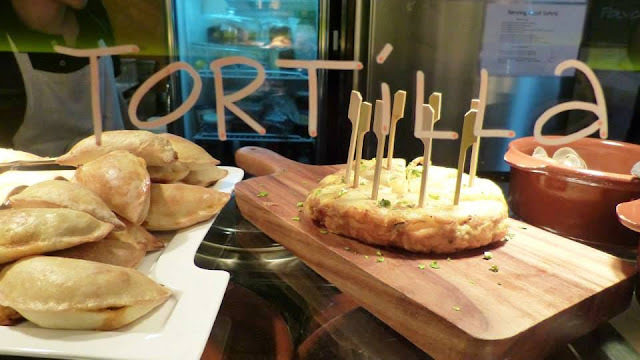 The different tapas are all laid out on the counter, you can either go there and choose your plates among the Pinchos, Montados, Croquetas and Empanadas or just order from the menu. 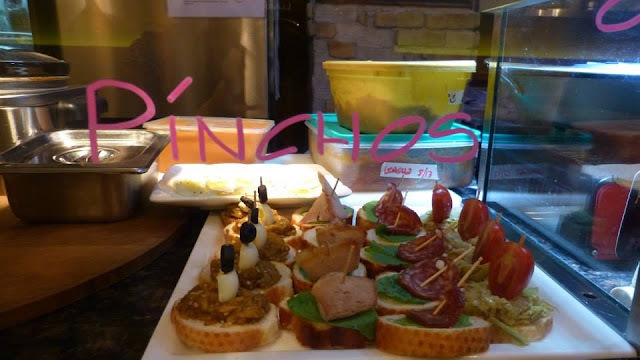 Pinchos are open-faced sandwiches on sliced baguettes, topped with hams, vegetables, etc, all screwed with toothpicks. In a typical Tapas bar in Spain, the number of accumulated toothpicks on ones plate denotes the amount that's to be billed to the customers. 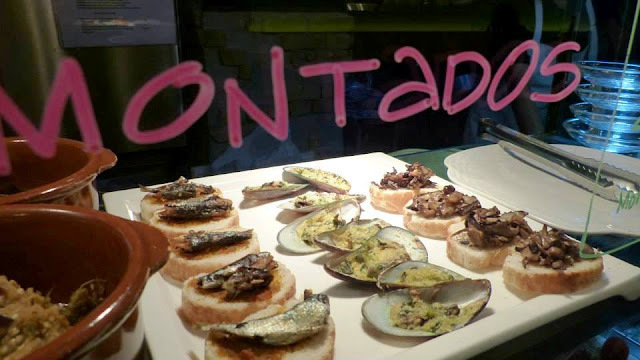 Also another type of an open-faced sandwich is the Montados. So here are what I had for the mid-afternoon snack at Tapeo. My pinchos and montados plate. Nothing too frilly though, except they used Jamon Serrano in one of the pinchos. 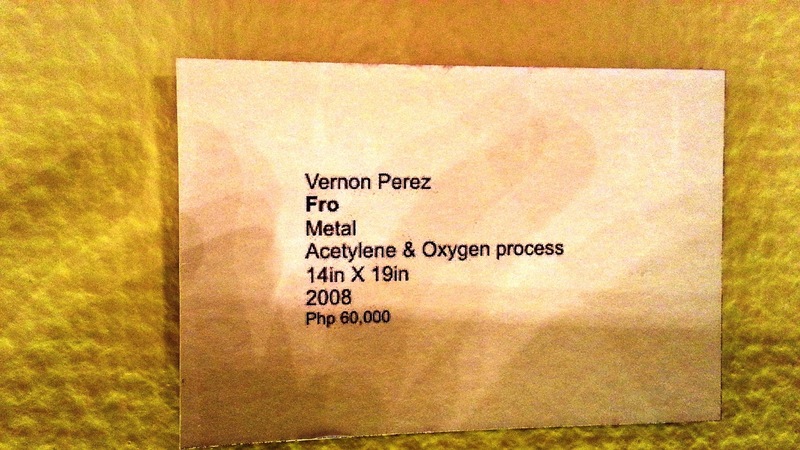 A platter, if ordered ala carte is P 120 for 3 pieces and P 235 for six. Didn't I tell you yet that Paella is included in the Tapas all you can. This saffron-infused rice is beaming with a mish-mash of seafood and chorizo. I should have not eaten too much of the Paella so I could have taken second rounds to the tapas bar, a serving is actually heavy on the belly, but you will find it hard to resist. Just by looking at the prawn, you know that the ingredients are cooked freshly. Another thing that I like about their Paella is that the rice is cooked rightly, and not soggy or over cooked. 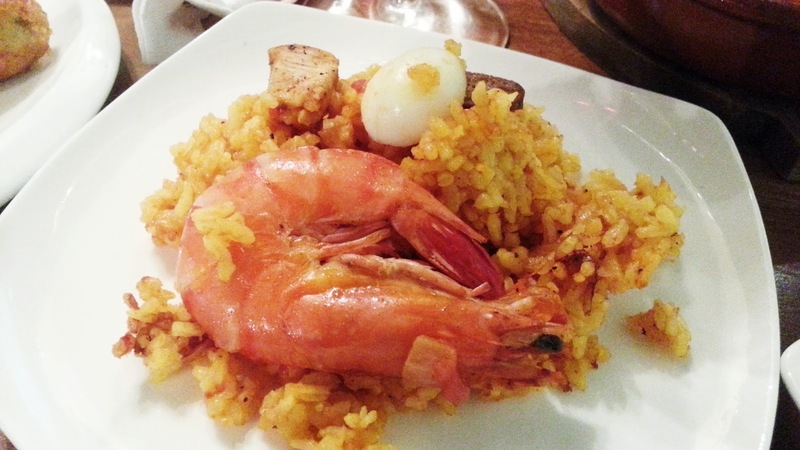 On the photo is the Paella ala Tapeo in it's paellera and a serving is P 275. 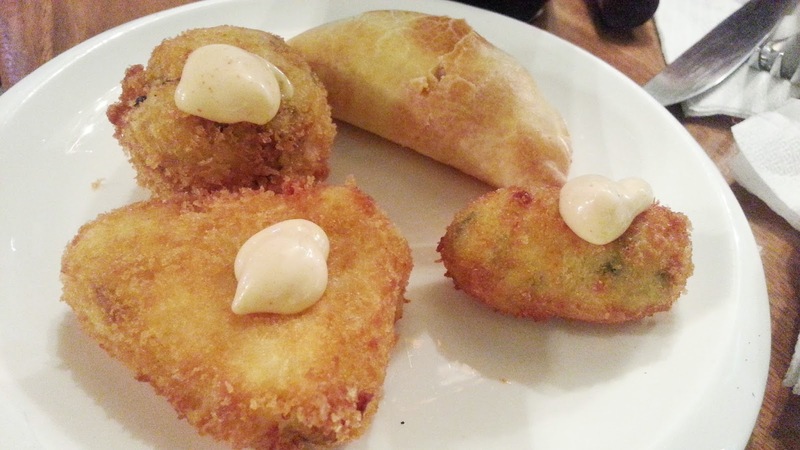 Compared to Galli Village Cafe, Tapeo's is a bit steep on its price. At Galli's you can order a paellera that serves two to three people for P 255 or a bigger one serving four to five pax for P 495. 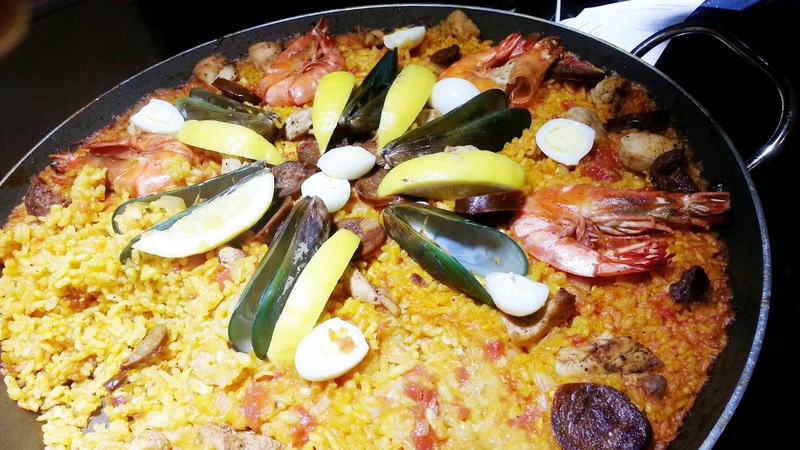 Per contra, one notable aspect of this dish though is that it claims to be authentic traditional Paella. Like what Chef Day always says, their recipes are their pride and joy, since these recipes have come from their ancestors, handed over from one generation to the other. And having immersed and brought up with Spanish cooking, they can pat themselves on the back on that. I was so busy chit-chatting, so I forgot to choose my Tapas, but the staff of Tapeo have just been so obliging for choosing for me and bringing it to our table. Also, I need to remind myself to take note of the name of our wait-staff, but I think all their staff are courteous and very efficient, they are always on a look out if we still have enough water on our glasses and that the wines are ever present on our glasses. On my plate were Tortilla de Patatas - Spanish Potato Omelet, croquettas topped with aioli, and crave-worthy empanadas. Let me stress out that the empanada I had has very light and thin crust, but it doesn't break apart. Also, it was not oily since it is baked and the filling was very savory and not watery, unlike other empanadas. 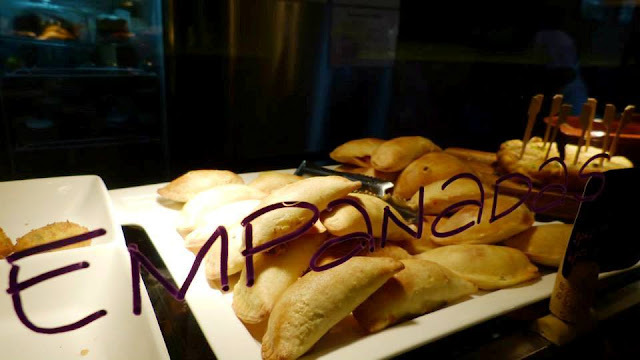 So I guess, I found my perfect empanada here! However, when I re-read the menu from an online menu source, it said that it's supposed to be served with romesco sauce, but I can't seem to recall if I had the chance dipping it to something. Still, I like it! 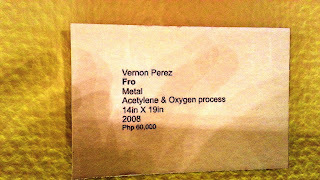 With all the plates I got, I wasn't able to check out my Chef Didier's order, Gambas Al Pil Pil or the Sizzling Prawns. 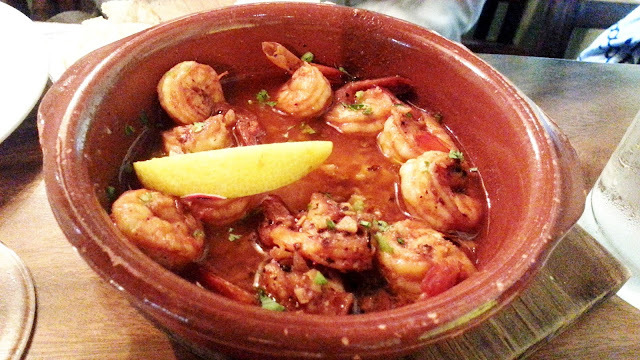 The piping hot clay bowl is filled with prawns sauteed in olive oil, garlic, wine and spices and served with crusty bread. See them enjoying what is supposed to be a snack only. They've actually been telling me that they had a heavy lunch a Dillingers on that day but hey, they to wasn't able to resist the tempting dishes bared to them. 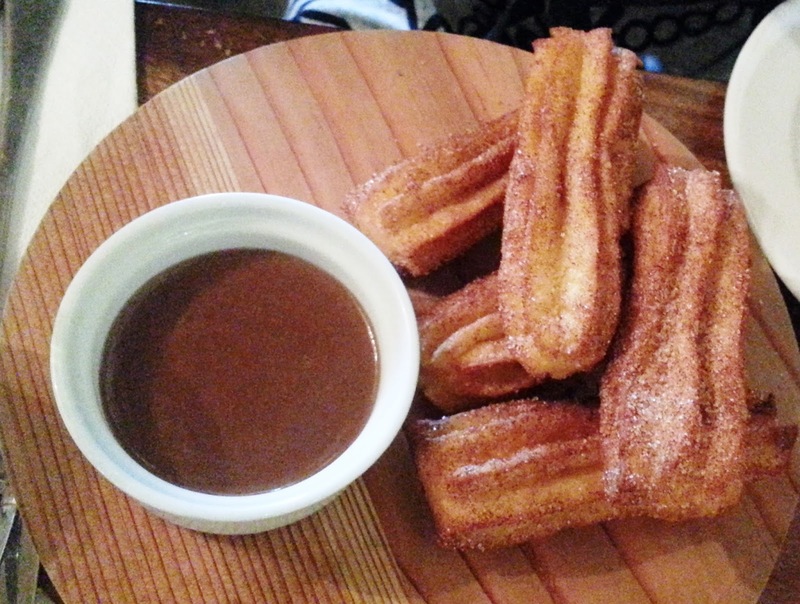 Merna with her sweet-tooth had her eyes on these churros. The Spain's doughnut, so they say, is top-notched with a mere price of P145, served with Spanish Chocolate. A trip to the Fort for this is so worth-it, no Spanish-claiming restaurant should not miss this on their menu. Tapeo's version is slightly different from the ones I've tried. For one their's is shaped like a log. I like their version in the manner that though it's chunkier, it was still managed to be cooked with a distinct crunchiness at every bite and at the same time a light interior with slight softness at the center. 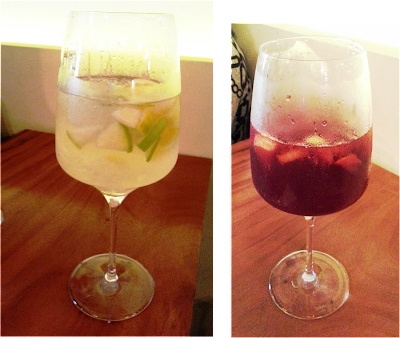 And lastly, the owners didn't allow us to leave the comforts of their Tapas zone without trying their much-raved about sangria. Many would attest that their Sangria's, in red and white, are one of the best. But for the novice me, it's more of a thirst-quencher. A summer and spring in one sip, with of course the fruity, herby and spicy kick all in one and the yeah, the alcohol that makes you skip a heartbeat and fixed for the party. One last recommendation though is that you call them if you are coming and reserve your seats, especially when visiting after working hours. My interview with Chef Day, didn't end with notes about Tapas and wine pairings. It was also one of those rare moments when you see true passion in one's capabilities and even disabilities, while realizing that ones drive and positive mind-set can lift anyone above the narrow, cramping circumstances of life. 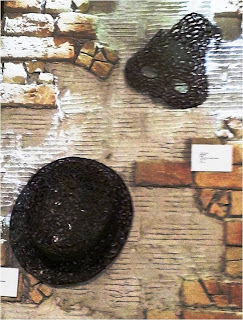 Amongst his accomplishments are the books that he was able to write with Chef Mon, The Malungay Book which has two volumes already and some others. The books are also being sold at Tapeo. Also, with another restaurant on their helm at Sta. Cruz, Laguna, which I am so aching to visit (thanks to Chef Day's unwavering posting of food photos from Ted's restaurant, btw). Read my blog about their Malunggay book HERE. While you are at it, care to also read my 7-day Malunggay challenge which was inspired by the Malunggay book HERE. Yes, times with friends are hard to come by...missing my friends too, just hope I could bring them here, except can't afford to pay for their airfares.. . Thanks for dropping by Reich. 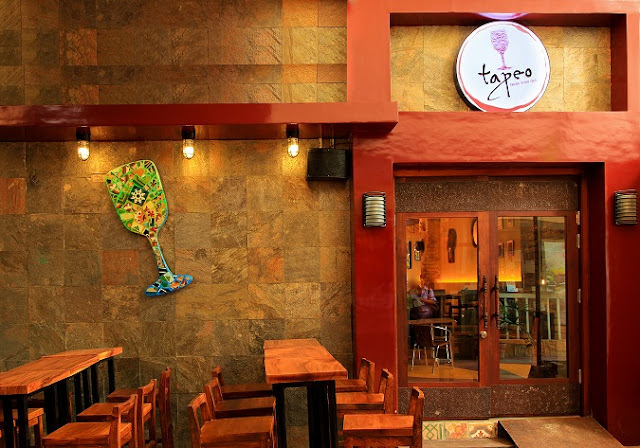 Do try Tapeo's, the worth is such a trip. What is Sto. Tomas, Batangas Famous For? Wingman Did More than Just Winging it!